We were recently given the opportunity to purchase 43 limited edition 300 Blackout Encore barrels from Thompson Center. These barrels were never sold, and they won't be in production. We were able to get all 43 barrels that were produced, and we get to share them with our customers! We have 22 left for purchase. The barrels are blued, 16.25 inches, threaded, drilled, and tapped. Because these barrels are not in production, we will not get anymore. We won't see these again! We are thrilled to announce that we have all junior stockset colors in stock in Contender, G2, and Encore platforms. We are currently offering an automatic $15 discount when you purchase the matching forend with the junior buttstock. We are excited to announce that we have added the 6.5 PRC barrel from MGM to our list of in stock barrels. Click here to read what MGM has to say about their new 6.5 PRC barrel. We are expecting our first shipment of the 50th Anniversary G2 Contenders shortly. Thompson Center will only be releasing 500 of these limited edition G2 pistols. We have ordered 50, and we still have a few left for pre-order. TCA Members are eligible for a $100 discount. We recently noticed that one of our customers got an incredible deal on a complete gun by combining a few sales that we were running and utilizing the $75 T/C rebate. 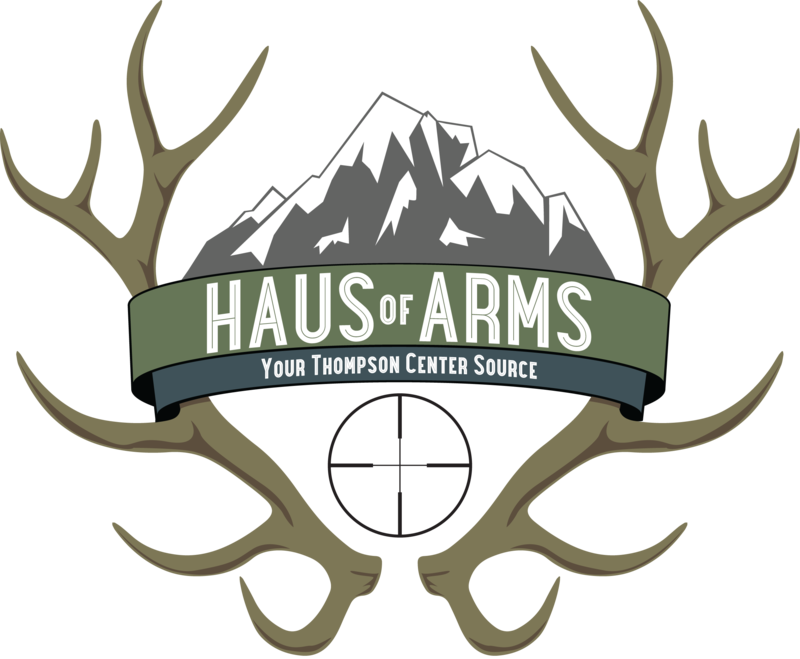 We were inspired, and we created a new category at HausOfArms to help our customers take full advantage of our current specials. After the $75 T/C rebate*, you can get a complete Encore build for $490! We plan to add to this category in the coming months. We'd love to hear any feedback that you have for us. *Customers are responsible for submitting their rebate forms to T/C. The current T/C rebate program on frames is in effect until April 30th. Your invoice must be dated by 4/30/18. However, you have until May 31st to submit your rebate form to T/C-online or by mail. Even if you purchase on April 30th, you still have plenty of time to get a trigger job on your new frame and submit your rebate to T/C.